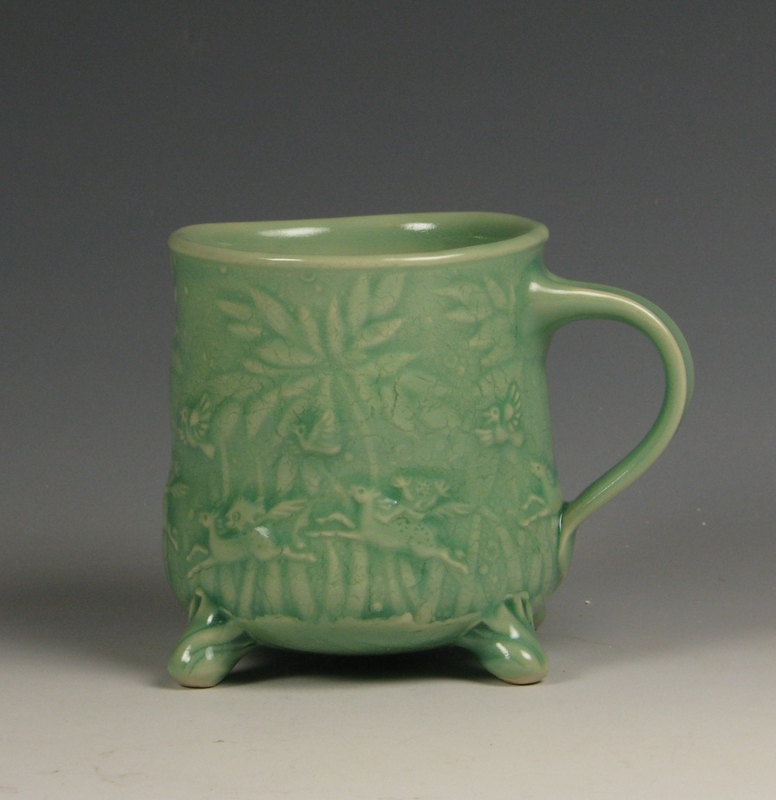 The addition of feet gives this cup a perky attitude and eliminates the need for a coaster. 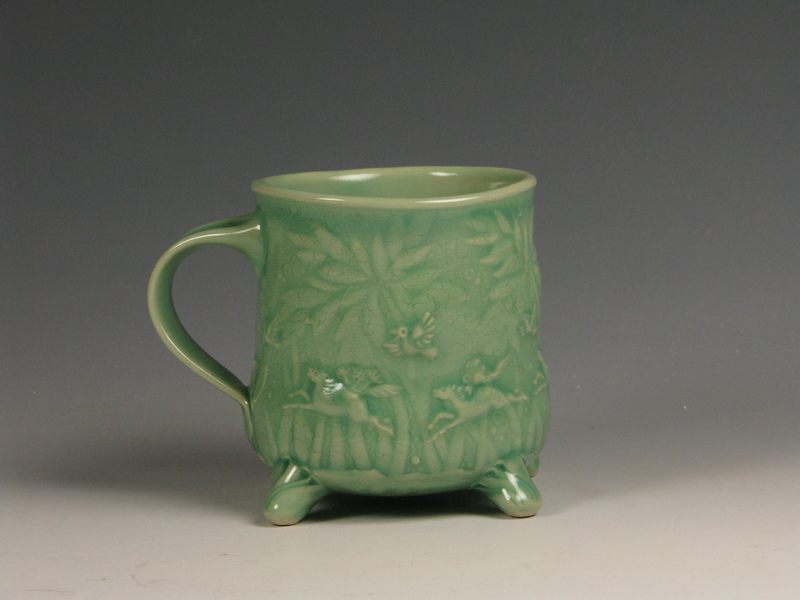 Celadon is one of my favorite glazes because it adds a watery depth to textured clay surfaces. 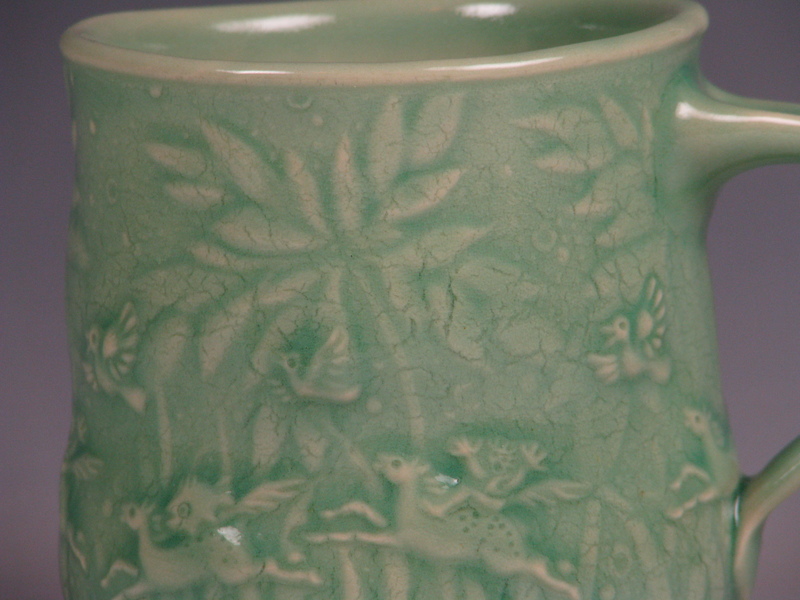 This kind of texture is created by marking the clay slab before forming the cup with rolling stamps I have carved. 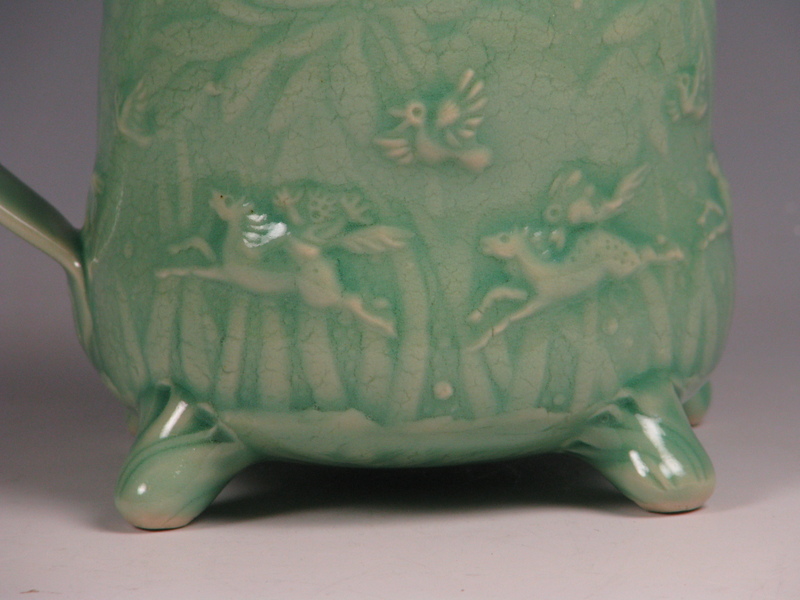 The little images are applied to the surface from tiny carved molds, rather than stamped into it. They are called “sprigs” and I’m addicted to carving new ones. This cup is about 4 inches high and will hold about 12oz. Hand built stoneware fired to cone six for durability and beautiful depth in the glazing. Each cup is individually made and decorated, dishwasher safe, food safe, lead free. I’ve been using my cups in the microwave for years with no problems. SOLD. Thank you L. K.